This photo was taken at the entrance to Katlian Bay at the end of the road in Sitka, Alaska. 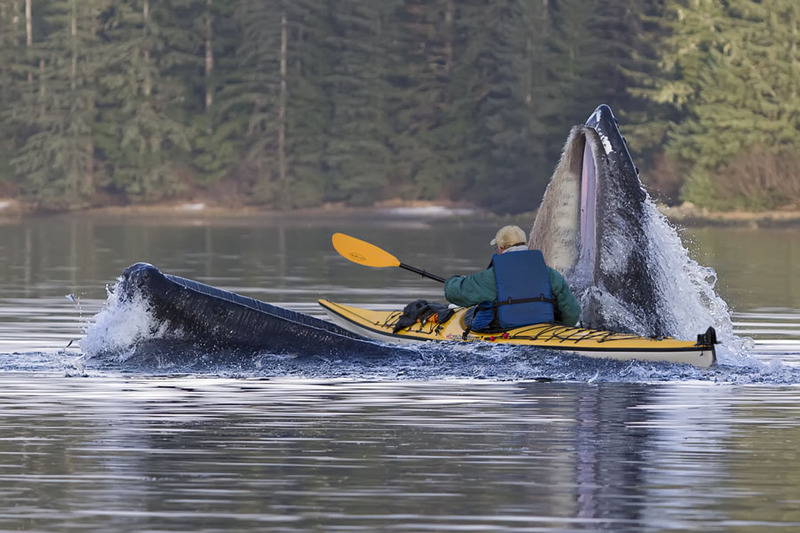 The whale is coming up to scoop up a mouthful of herring (the small fish seen at the surface around the kayak). The kayaker is a local Sitka dentist. He apparently didn’t sustain any injuries from the terrifying experience. He is in the whale’s MOUTH!